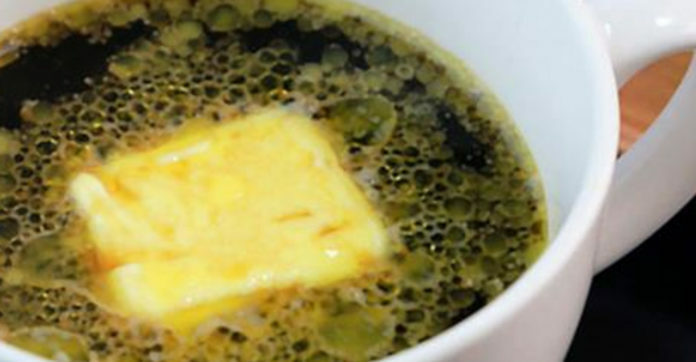 Butter in your coffee may save your life? But how does the coffee taste? Well, some say that butter is just better than the creamer you probably already add to your morning java! Choosing the right kind of butter can also have some health benefits. The butter should be Kerrygold, which is a product of Ireland. It is a high-quality butter that comes from cows that were grass-fed – so it can provide healthy fat. Your brain will also get a boost from grain-fed butter, and your cell walls will be stronger – which may help prevent dementia! The healthy fats (omega-6 and omega-3) plus vitamin K in the grain-fed butter will also reduce your risk of heart disease! So, the next time you are grocery shopping, don’t forget the Kerrygold. Simply add two tablespoons into your cup of coffee, and you will be good to go! Share away, people.